Earn up to 5,792 reward points. Suzuki diatonic xylophones form the base for your instrument set. The warm, timbric resonance is a result of genuine rosewood bars, perfectly tuned and balanced. Unlike other companies that charge extra, many features are standard equipment on Suzuki xylophones, including the finest rosewood bars, mallet storage, chromatic bar storage, bottom positioned bar holding pins that prevent bending from improper bar removal and note name labeling inside each resonator chamber. 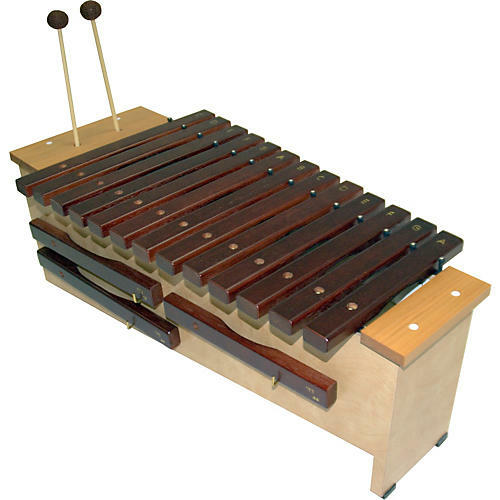 Each diatonic xylophone includes 1 Bb and 2 F# bars and 2 pairs of appropriate mallets.